WELCOME TO MY MONEY MISSION ONLINE: CHECK OUT ARTCOW'S INTERNATIONAL WOMEN'S DAY SALE!! CHECK OUT ARTCOW'S INTERNATIONAL WOMEN'S DAY SALE!! To celebrate International Women’s Day today,(March 8), ArtsCow is putting one of their most popular new product, in the shape of a medium-sized cosmetic bag, on sale. This fits neatly in your handbag and carries your daily essentials including foundation, lipstick, mascara, gloss, eyeliner, eye shadow and bronzer (and pretty much anything you can think of). This is a practical, yet fashion-styled bag. 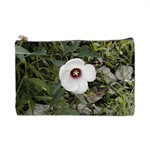 You can also accessorize both sides of the makeup bag with photos and design patterns. They are offering all three cosmetic bags for only $8 with free shipping included! Checking out that cosmetic bag now! Oh! and you have an award over at my blog today!